From BCR - "Purchased from Tropiflora in 1997 as an alleged natural hybrid. See also 'Aleta'"
Ray Clark ... "I believe this is T. ’Humbug’. I picked it up among a tray of unloved specimens that came from a retired collector, this all came about through Adam. I have cleaned them up and grown on some of the better ones and this is one of the results. 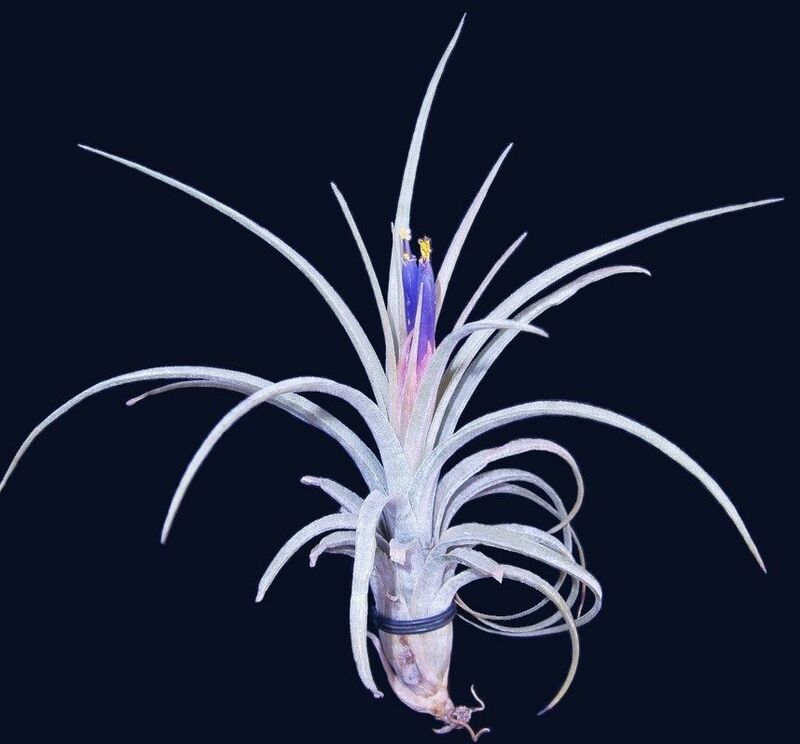 We thought that maybe it was an ionantha X brachycaulos cross and then someone else suggested to me that it may be a paucifolia cross. I consulted first the BCR and then the DVD and have decided that it’s most probably ‘Humbug’, reputedly a natural cultivar."